The Sheepbridge Iron and Coal Company. 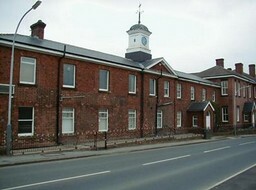 The Sheepbridge ironworks were originally started by the Dunston and Barlow Company in 1857, by the year 1862 William Fowler and company had further expanded the ironworks and the hot blast and mild iron from the three furnaces was supplied to be used by John Brown and company of Sheffield for armour plating. This was tested by the military at Portsmouth on November 22nd. 1861 and was said to 'exceed every test heretofore made'. The company was launched in 1864 by H.D.Pochin and friends. William Fowler was chairman and managing director, in 1868 J.Stores Smith became managing director with Fowler retaining the chairmanship. Charles Mc. Laren joined the board and later he became chairman. William Fowler and his father took up the leases of large amounts of land between Chesterfield and Whittington Moor and began the task of coal extraction, then Hankey a London banker joined the company partnership and part of the coal field was sub let to other companies. In 1890 the company was headed by J.Stores Smith J.P. as managing director, Mr Watkin Davis as general manager and Mr. John Hall as secretary. As the sub leases lapsed the company began taking over the collieries and by 1871 the company worked four large collieries, the first three producing 250 tons of coal daily each. Sheepbridge colliery in the works yard. Nesfield colliery two miles away. Dunston colliery one mile away and Norwood colliery at Killamarsh producing 700-800 tons of coal daily. 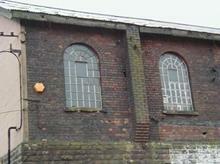 The four collieries employed double shafting and furnaces for ventilation until 1871. By 1896 the company also owned collieries at Langwith, Glapwell and Norwood. Of the 10,000 tons of coal produced each week, 3,000 tons were used on the works, 6,000 tons were sold and 1,000 tons were turned into coke. 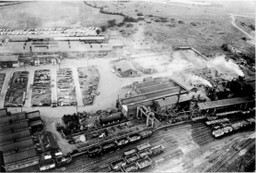 2,000 men and boys were employed by the company. 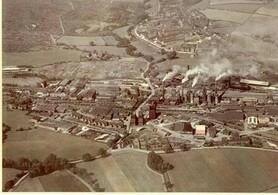 In 1873 the company began to work jointly with the Staveley company on a large bed of coal on the Newstead Abbey estate. This was a reflection of the financial relationship between the two companies. 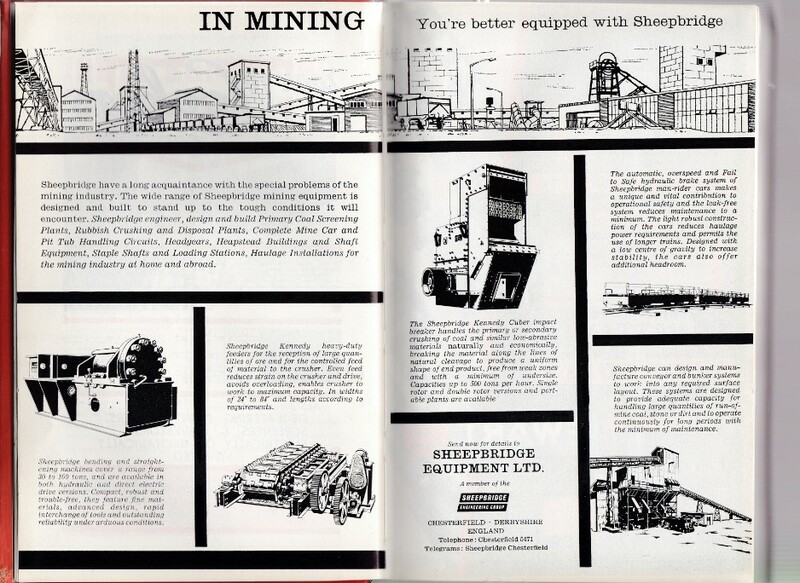 The Staveley Company later purchased the Sheepbridge company outright in 1955. Henry Pochin had financial interests in John Brown and company, the Sheepbridge company and the Staveley company. He was eventually to become director of many companies including these three and also deputy chairman of many more. 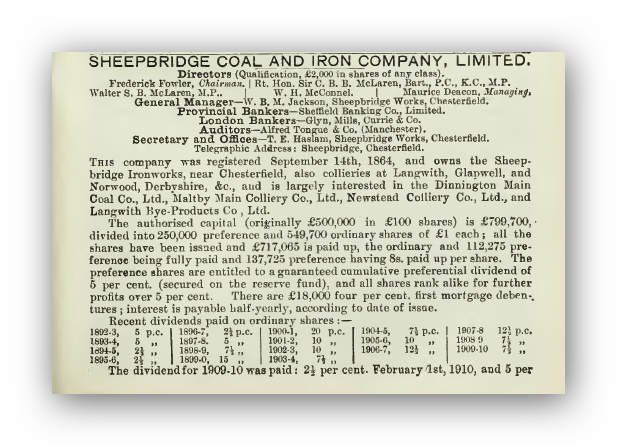 The Staveley company and Sheepbridge company went hand in hand on many other ventures. Albert Colliery SK 36/37 367750. 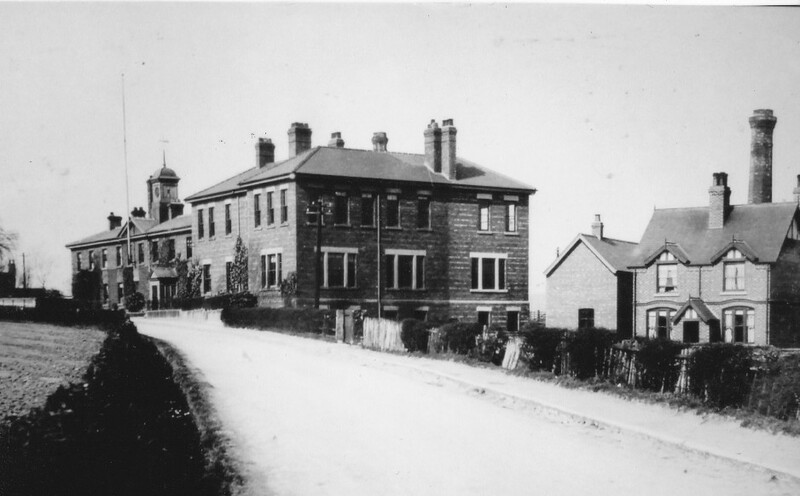 The Devonshire Silkstone (Albert) Colliery Sheepbridge. 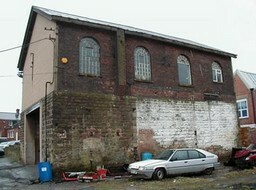 Nearby owned by the Derbyshire Silkstone Colliery Company but included as it was in the works yard. Sunk 1857-8 in the works yard area to the Deep Hard seam, Sitwell coal at 54 feet, Deep Hard at 218 feet, the shaft bottom at 219 feet. Derbyshire Times 20th July 1861. We Struck work at the above colliery on Monday last in consequence of the Masters having given us fourteen days to find our own tools. We have not had to do this before considering that we are not in a position to find the tools. We earnestly solicit your support and co-operation. Signed The colliers. John Harley was charged with violating the 55th special rule of the Coal Mines Regulations Act at the Albert Colliery Newbold on the 5th July. The offence was that of ramming a shot after it had misfired, the defendant pleaded guilty. He was fined 10/- plus costs. On Tuesday the miners employed by the Derbyshire Silkstone Colliery Co. at the Albert Colliery brought their tools out of the pit. 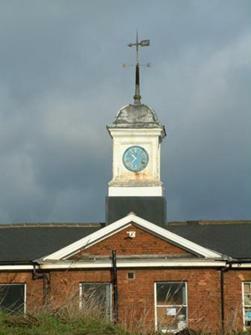 On Wednesday the Manager at the Albert Colliery belonging to the Derbyshire Silkstone Colliery Co. met a deputation of men at the colliery offices. He stated that the Directors had decided to give them the full advance of 2½ %on the standard rate. The deputation thanked him and afterwards a full meeting of the men was held in the Star Inn. 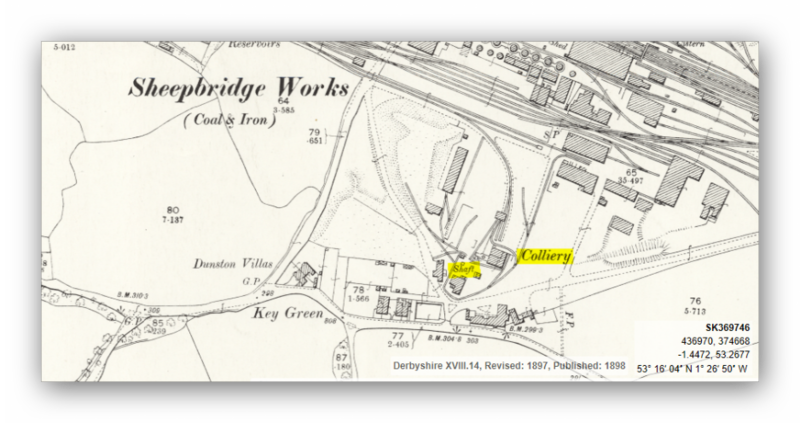 There was a further stoppage at the Albert colliery Newbold belonging to the Derbyshire Silkstone Colliery Co. Immediately after the settlement of the wages question in London on Friday last. 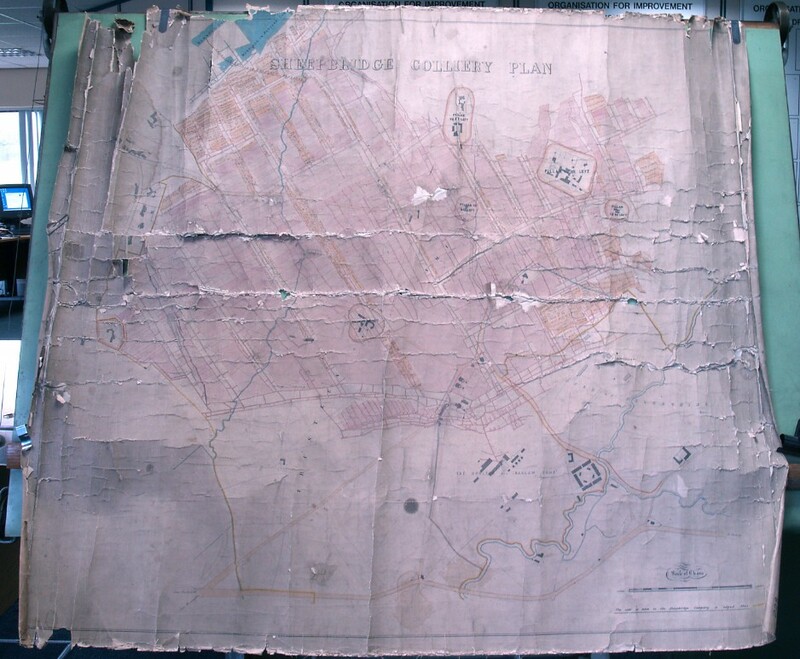 Mr. Edmund Taylor made arrangements with a deputation of their workmen to recommence working on Tuesday morning fully expecting there would be no further obstacle to the resumption of work. 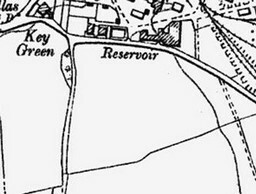 Directly after the arrangements had been made Mr. Taylor received notice from H. M. Inspector of Mines and the consulting engineers that in consequence of the Sheepbridge Coal and Iron Company having ceased to pump at their Dunston and Nesfield collieries for a period of twenty four days a large volume of water had accumulated behind the Albert colliery barrier on the rise of their workings and consequently it would be unsafe to work the colliery. Mr. Taylor was, therefore, reluctantly obliged to send word to the underground men that no one would be allowed to descend the colliery except officials until the water in question had been pumped out at Dunston colliery. It appears that the Sheepbridge Company decided on Thursday last on hearing that such a danger as might arise to recommence pumping and had been pumping ever since and getting out the water as fast as possible. The Newbold colliery which is on the rise will go on working as will almost all the surface men at Albert colliery. Immediately the danger is removed the underground men will again commence work after their long holiday. Nesfield Colliery. SK 36/37 351741. Sunk in 1861 and mined the Low Tupton and Threequarters seams at 59,80 and 98 feet, and Blackshale coals at 197 feet. Derbyshire Times 13th February 1864. Chesterfield and District Silkstone Company LTD Require pickmen. They will have constant employment and a high rate of wages. Derbyshire Times 22nd August 1877. Furious assault down a pit. Henry Jackson a collier from Brampton was fined £3 including costs for assaulting James Stevenson at Barlow on the 7th inst. 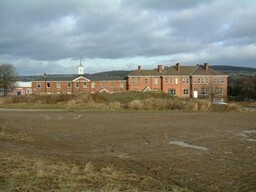 The men whilst working at Nesfield Colliery had a dispute about some tops in the course of which the defendant kicked Stevenson in the ribs and he hit so seriously that he was obliged to obtain medical aid. The whole of the miners employed at the Derbyshire Silkstone's Dunston and Nesfield collieries brought their tools out of the pit on Tuesday. Norwood Colliery, Comberwood shaft. SK 47/57 465798. Sunk near Killamarsh to the Top Hard seam at 484 feet from 1865-7 and from here to the Sitwell seam at a depth of 1057 feet in 1916. A drift was later made to the Thorncliffe seam some 300-400 yards south of the colliery. Serious Accident at Norwood Colliery. William Granby labourer of Killamarsh in the employ of the Sheepbridge Company and working at Norwood colliery received injuries to his left forearm caused by a wheel of a wagon passing over it. It was found necessary to amputate the arm below the elbow. Dunston Colliery. SK 36/37 361752. The fan shaft was sunk in 1873 to the Silkstone seam at about 301 feet from the surface and the pumping shaft which was also called the Cobnar Wood colliery number three shaft was around 331feet deep into a 42 foot fault in the strata. 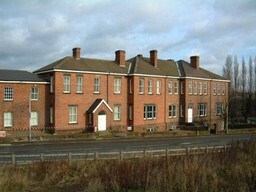 Colliery material to be sold on 8th September at the colliery now worked by Thomas Cartledge at Dunston – under distress for rent. 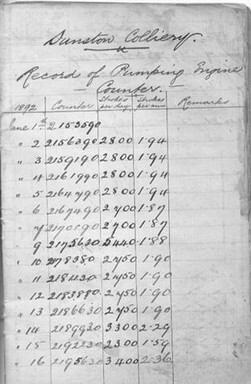 Mr. Thomas Lister the engineer at the above works having resigned the position held by him for some years to commence colliery operations on his own account. The best and cheapest house coal can be had at the above colliery on Brimington Road. Best House ex pit 11/6d per ton, Seconds about half and half 8/- per ton, Slack good for engine and smiths 5/- per ton. Toll Bar fares. Apply William Eyre, Stonegravels or at the pit. The whole of the miners employed at the Derbyshire Silkstone’s Dunston and Nesfield collieries brought their tools out of the pit on Tuesday. An accident at Dunston Colliery on Tuesday morning when a pony driver named Edward Wright aged 14 employed at the colliery was knocked down by a loaded wagon and crushed about the head and legs. He was removed to Chesterfield hospital. 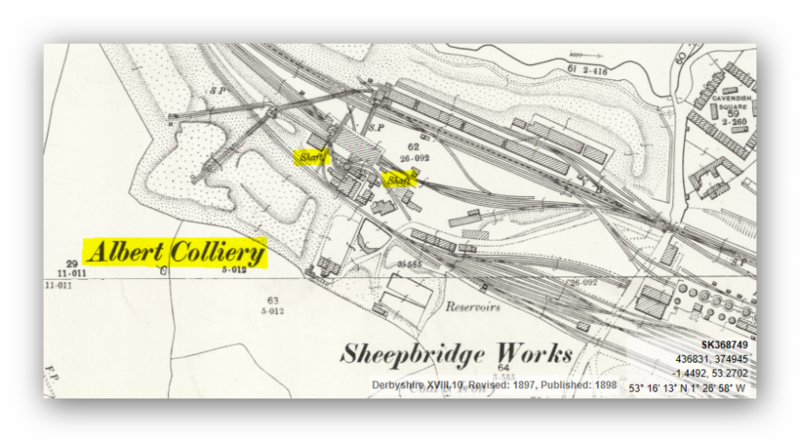 Sheepbridge Colliery, Sheepbridge Works. Sunk 1857-1858. Note: Colliery Plan is WEST to the top of the map and not NORTH. (Fitzwise). Photographs 4 & 5 are Copyright, Peter George of Fitzwise. (Rest ANB). Photos show us opencasting in Dunston seam [Deep Soft] old workings date from cica. 1860 by Sheepbridge Company. We are preparing the new site for Chesterfield Rugby Club off Dunston Road which includes removal of coal & old workings under the where voids might migrate to the surface. Old Deep Soft Workings from Sheepbridge Works Colliery. The small band of coal near the top is an unnamed 9 inch uneconomical seam 16 feet from the surface. The Dunston or Deep Soft coal the bottom of which is 18 yards and 3 inches from the surface and consists of two distinct bands, 1 foot of roof coal and 4 foot 6 inches of main coal. (Did not see any evidence of timber or other roofing support other than coal pillars on site). 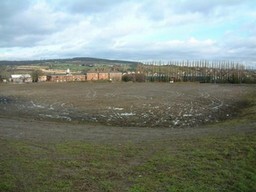 Looking directly at an air shaft centre of shot sunk from the surface and filled in with a local rubble and clay fill. Air shafts were common and several may have been sunk into the workings at regular intervals to improve the poor ventilation of the workings which were usually by steam powered fans or even a furnace in the shaft. Part of a tub rail found on site. It is said that these old colliery workings were also worked (recycled) from the opposite direction by a drift mine in the 1920’s following the basset edge of the coal into the old workings. Parts of the coal pillars left by the original workings would have been robbed to supply the coal. I have found the following M Hurditch of 18 Capel St., Sheffield, working a small colliery at Bakers Bank Sheepbridge employing 2 men underground in 1938. There is little economical ironstone in this area so the prize would have been coal. The only band of ironstone to note is at about 27 yards from the surface and is only 6 inches in section. There are several small uneconomical seams below the Dunston 4 inch, 4 ½ inch and 3 inch respectively the only other seam of note is the Deep Hard or Potters Coal. Deep Hard or Potters Coal Section. Roof coal 1 foot 2 inches. Smithies 1 foot 1 inch. Top Hards 1 foot 9 ½ inches. A 6 inch band of shale or dirt. Low Hards coal 1 foot 8 inches. Bottom of seam at 72 yards 1 foot 6 ½ inches. Bottom of upcast shaft in works yard is at 72 yards 2 feet and 8 ½ inches. Seam information from Section of Strata of the Coal Measures of Yorkshire. W.H. Wilcockson, M.A., F.G.S. p434.